In the fitness world, generally you have two main goals. They are either getting lean or bulking up. The problem most people have is understanding what foods work the best for either goal. Today we are going to look at some of best foods in their respected categories for dieting purposes. One of the best meats for dieting is turkey breast. 4oz. of turkey breast provides you with 34 grams of protein, 0 grams of carbs, and less than 1 gram of fat. 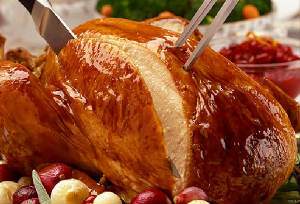 Nutritionally beef, pork, or even the almighty chicken can match turkey. When trying to diet down you should eat more fish. Fish tends to be a leaner protein then most meats. Fish is also easily digested by the body making it a great diet food. The best fish to use on a diet is haddock. While most people are familiar with and use tilapia, haddock is a slightly better choice. 4 oz of tilapia and haddock are almost exactly the same except the haddock offers less fat. 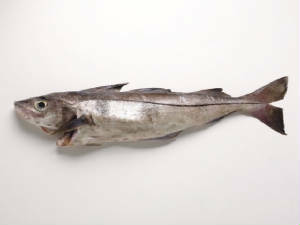 In comparison the haddock only offers 1 gram of fat as opposed to the 3 grams offered with the tilapia. When it comes to “getting lean” crustaceous vegetables are your best choices. Broccoli, cauliflower, and brussel sprouts are three of your best choices. 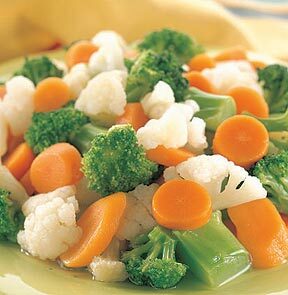 These veggies are what you call “calorie dense”. This means you can eat lots of them without taking in a lot of calories. Two cups of broccoli flowerets provide you with 4 grams of protein, 8 grams of carbs, and 0 grams of fat. Crustaceous vegetables are also very high in fiber. Fiber is very important as far as helping the body become lean. Broccoli, cauliflower, and brussel sprouts contain a compound called indole- 3-carbinol. Indole- 3- carbinol has been shown to lower types of estrogen in the body. Excess estrogen in the body help facilitate the storage of bodyfat. The reduction of estrogen in the body can lead to less bodyfat storage. Honestly I am not a big fan of fruit on a diet but if you had to choose a fruit, I would go with raspberries. 1 cup of raspberries will provide you with 64 calories,1.5 grams of protein, 15 grams of carbs, and less than 1 gram of fat. The kicker however is in that one cup of raspberries you get 8 grams of fiber. If you need a complex carb source, go with oatmeal. Nutritionally oatmeal packs quite the punch. One cup of cooked oats will give you less than 150 calories, 5-6 grams of protein, 25 grams of carbs, and about 2 grams of fat. 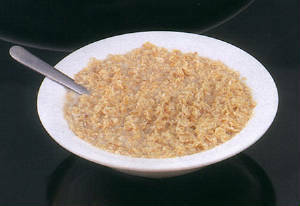 Oatmeal also gives you a hearty 4 grams of fiber per cup. Best drink while dieting? Do you really have to ask? Water hands down. Besides making up most of the human body, water helps keep the metabolism in check. 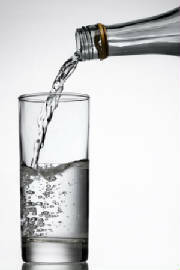 Water also helps remove toxins and waste products that build up when dieting from the body. Forget your fat burners. Forget your creatine. 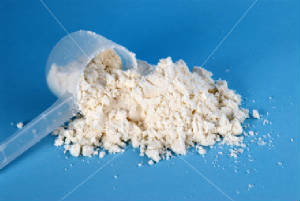 If your goal is slimming down, whey protein is your best option as far as supplemental nutrition. Protein is very important when it comes to dieting and supplementing with whey insures that your body will be taking in adequate amounts of protein.